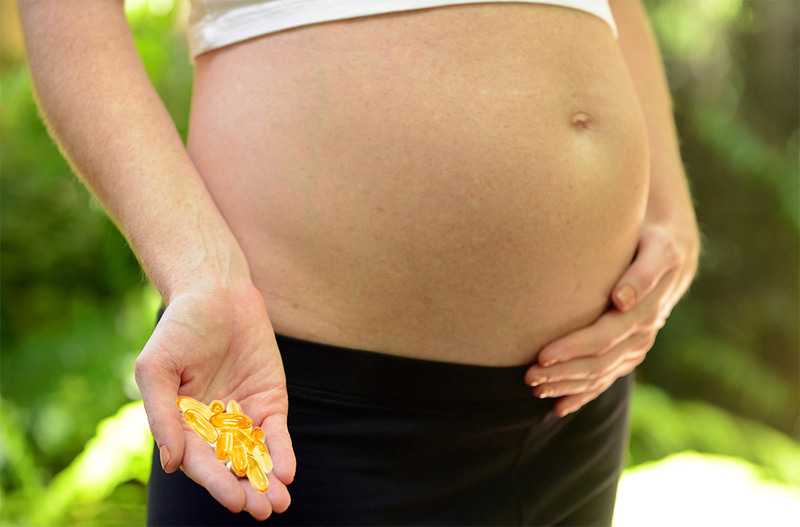 News Bite: In a small randomized trial, pregnant women given fish oil supplements bore offspring with a reduced risk of developing persistent wheeze or asthma. Children whose mothers were given fish oil supplements during pregnancy had an apparent reduced risk of developing persistent wheeze or asthma, according to the results of a small randomized trial. Pregnant women who were given n-3 long-chain polyunsaturated fatty acid (LCPUFA) supplements during their third trimester of pregnancy had offspring with a significant 31% relative reduction in risk of developing persistent wheeze or asthma as young children compared with a placebo group. The researchers said this effect was most prominent among children whose mothers had lower levels of omega-3 fatty acids, eicosapentaenoic acid (20:5n-3, EPA), and docosahexaenoic acid (22:6n-3, DHA). For the women in the trial population with the lowest levels of EPA and DHA, there was a 54% relative reduction in risk of offspring in the treatment group developing either of these respiratory conditions compared with the placebo group. Am MD of the Lipid Mediators, Inflammation, and Pain Unit of the National Institute on Aging in Baltimore and the National Institute on Alcohol Abuse and Alcoholism, in Bethesda, Md., characterized this as a “particularly salient finding," and noted that the effects were most evident in mothers with genetic variations associated with the low ability to produce EPA and DHA from the essential fatty acid, alpha-linolenic acid. The trial examined 736 pregnant women between 22 and 26 weeks gestation, randomized to receive either 2.4 grams of fish oil or placebo (olive oil) per day. The children were followed for the first 3 years of life and then for 2 years, for a total of 5 years. Overall, 695 children were included in the trial, with 19.6% receiving a diagnosis of persistent wheeze or asthma by 5 years of age. In terms of secondary outcomes, fish oil supplementation was linked with a significant 23% relative reduction in risk of developing respiratory tract infections in early childhood compared with placebo. However, there were non-significant differences between the two groups in the risk of asthma exacerbations, eczema, allergic sensitization in infancy, or post hoc endpoints of allergic rhinoconjunctivitis and lung function at 5 years.